Have you ever encountered an adult who doesn’t know how to plan? Whether it’s a person who doesn’t know how to plan a party, plan a travel itinerary, or plan ahead for the future, you have probably noticed that there are some individuals who live this way as a matter of course. While there is a certain amount that personality plays into this, and while there’s nothing inherently wrong with a “fly-by-the-seat-of-your-pants” style of living, it’s also important to know how to plan when you need to. A person who grows up to adulthood and lives a life where they merely let things happen to them is a person who is vulnerable to drifting and failing to reach their full potential. You want better things for your child than a complete inability to plan, exert their own agency, and take life by the horns to get somewhere. 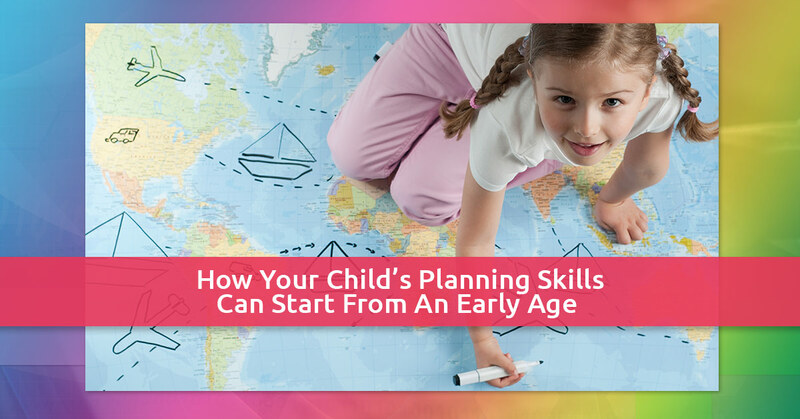 But how do you develop this crucial planning skill in your child from a young age? Here are two tips from our daycare in Huntington for how to develop planning skills in your kids. Watch how they already plan and conduct their play activities. Children tend to naturally have the ability to make plans and carry out activities. “I’m going to have a birthday party for my teddies.” “Let’s build the tallest tower we can with these blocks.” Watch how your child already naturally wields the tools and accessories available to them in order to conduct an activity from start to finish. If your child makes an apron out of dryer sheets or a rocket out of cardboard boxes, encourage the thought and effort that went into bringing that idea from concept to reality. They demonstrate extra focus, attention, and diligence when it is their own idea. Furthermore, when they actually pull off what they’re trying to accomplish, it builds their confidence for the next effort. Invite them to own and develop a mini-plan within your plans. If you’re planning a trip, a birthday party, or an outing, see if you can divide it up and give your child one “module” where they can contribute their own ideas, build a plan, and pull it off. It’s a good idea to put some structured boundaries around it and give them an accurate estimate of the resources you’re prepared to contribute. Then let them be creative and do whatever fits within those guidelines. For instance, let’s say you give them a 20-minute segment during their birthday party that they can plan and implement for their friends’ entertainment. You might say, “You can do anything you can come up with that will be done in 20 minutes and doesn’t involve anyone getting hurt, any property getting hurt, or any feelings getting hurt. If you need supplies for what you’re going to do, I’ll contribute $5 per guest.” You will be amazed at what your child comes up with, but more importantly, they will develop crucial planning skills and run into the real-life snags, snafus, and obstacles that they’ll have to find a way to overcome in order to accomplish their goal. Rainbow Chimes Daycare invests in kids’ planning ability by using the High Scope Curriculum. We believe that kids learn best when they plan and accomplish an activity themselves. If your child is not benefitting from this kind of enrichment at their daycare, bring them to Rainbow Chimes, where we are committed to investing in their overall development. Contact us today to get started.